When you’re hosting a corporate event, one of your goals should be to elevate the overall experience. This includes catering and more and more guests are more mindful of what they are eating. Remember our last post about all the special menu requests? As a planner, you need to keep up with those trends and be aware of guests needs. 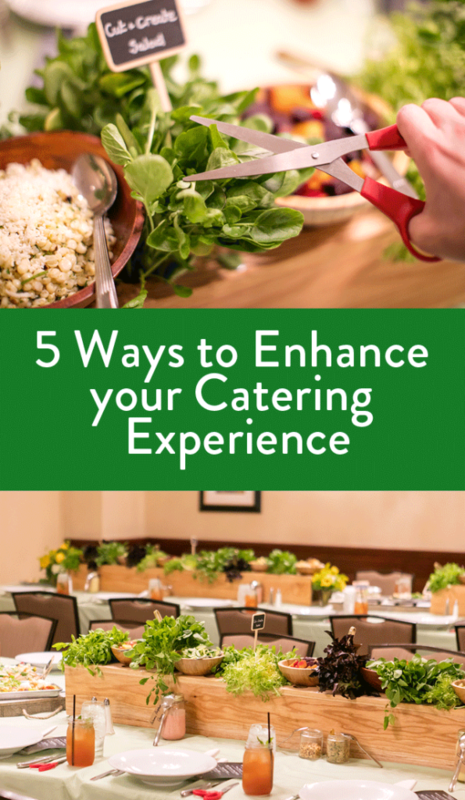 I recently read an article on MeetingsNet, Two Simple Secrets to Happy, Engaged Attendees and something stood out to me when it comes to food and creating a menu. Guests don’t want heavy meals during lunch. Gone are the days of the chicken and beef in heavy sauces. Now guests want meals that are healthy, light and refreshing. There is nothing worse then getting up from the lunch table – stuffed to the gills and the first thing you say is, “Boy – I could use a nap!” There goes the productivity and engagement for the rest of the day. One of the main goals of a planner is to create an environment for engagement and learning. A few of the ways you do that are with your sessions, speakers and networking. Meals and receptions are perfect for networking. 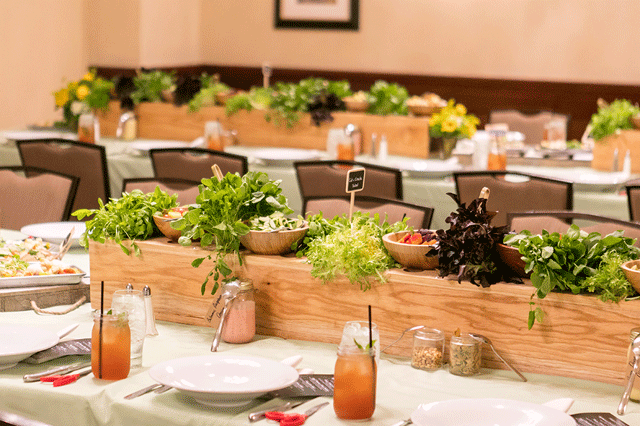 I love this concept that the Capital Hilton in Washington DC catering team created. They call it Cut and Create Salad Bar. There are 5 things that stand out to me with this set-up and you instantly elevate your event experience. The ROAR playbook e-course is stocked full of information about mastering the corporate events world. We want to set you apart from all the other planners so you can elevate yourself in the corporate events industry.